High security or haute couture? How about glow-in-the-dark? Looking for a stylish gift or stocking stuffer? From Louis Vuitton to glow-in-the-dark, there's a distinctive smart phone case for everyone. 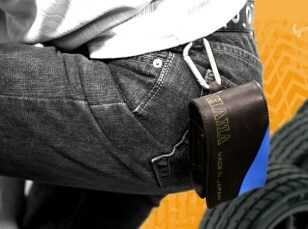 The Tune Belt phone case will surely come in handy if your gift recipient rides a motorcycle or a bike. The case offers easy access to the phone's controls through a protective clear panel. It's also reflective, and it helps to manage earphone cords. The EXO6 case is an unusual piece of work, offering a strong defense between an iPhone and the elements. But although this looks like an ultradurable iPhone cover, it still leaves the screen unprotected, so complete peace of mind is out of the question. 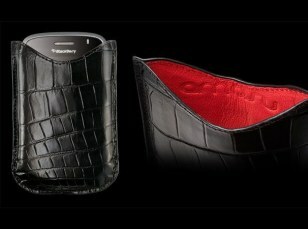 For a meager $325, you can get an authentic Louis Vuitton cell phone case for yourself or a loved one. 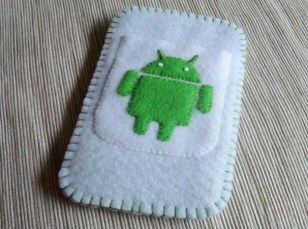 Its monogrammed canvas protects the phone, and the microfiber lining prevents scratches to the screen. It even has a hook so that you don't lose it. 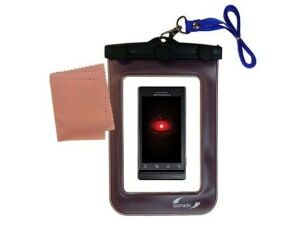 This Amosu case looks remarkably bland compared with some other superexpensive phone cases I've seen. 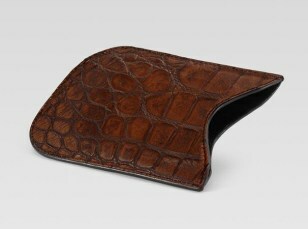 It's a simple leather case made to resemble crocodile skin. 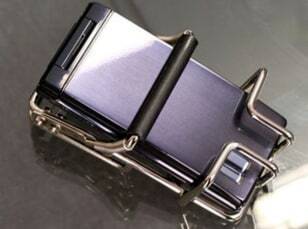 The case includes sleeper magnets so that your BlackBerry goes right to sleep when you insert it. 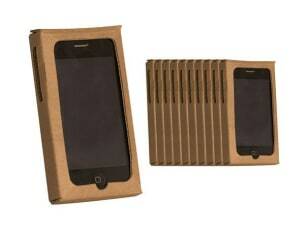 You read that right — only $1 for an iPhone case! If you're strapped for cash, pick up the ultracheap Recession case to protect your phone even during tough financial times. You can also download the template and make one yourself with any material. The Zero phone case from Japan is a great example of how you can help to reduce waste and have a nice-looking accessory at the same time. Made from recycled old tires, the rugged and water-shedding Zero Cases are unique: No two have the same pattern or print. The Mobile Protector X looks like it was made from an abandoned grocery cart. Designed to complement business suits, this metal phone holster does a good job of keeping your phone by your side, but it also leaves the handset exposed to the elements. You don't have to use this case with an Android phone, but the little figure on the front would look awfully out of place with an iPhone. Made by one of the crafty members of Etsy, this case is sure to keep a phone relatively scratch-free — though it probably won't protect the handset from a nasty fall. Made from rugged thermoplastic polyurethane, the Clean-n-Dry waterproof case is 10 times stronger than cheaper vinyl alternatives (or so its creators say). You can take your Droid X as deep as 20 meters underwater in this case. It's great for beaches since it guards against sand and dirt, and its ability to float makes it invaluable on a boat. This Gucci BlackBerry case looks a lot like the Amosu one we showed earlier, but it's only about a third of the price. The description on the Gucci site is shockingly sparse; but from what I can tell, the case is made out of high-quality leather. 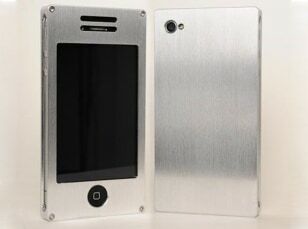 The company dubs it a "large BlackBerry case," so it should fit bigger models such as the BlackBerry Bold. 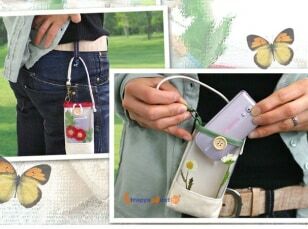 This eye-catching phone case is made from canvas and plastic, and has real pressed flowers in it. The flowers are covered with a special plastic to keep them looking great. 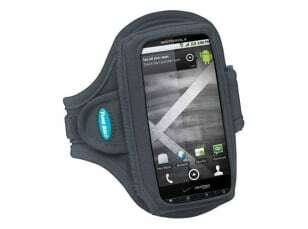 A strap lets you hook the case anywhere, and a button keeps it closed. 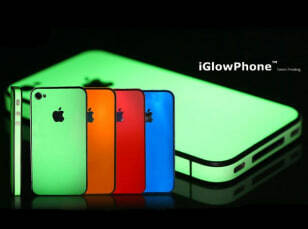 Simple yet cool: This minimalist iPhone case glows. Now you'll never lose your phone in the dark.